I LOVED this book! Back when I was young, I had "Little House on the Prairie" by Laura Ingalls Wilder. They are still with us, but those books took place in the past, and we had to try to relate to them in that way. Today we have REAL LIFE stories (many of them based upon the life of co-author Mary Ann Kinsinger of her and her brothers) that are taking place right now with other Amish little girls. 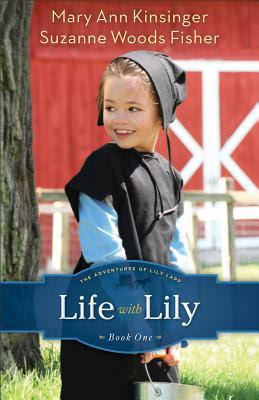 Yes, Lily is a 6 year old Amish little girl, and this book is a fascinating account of her life for young and old alike! There really are little girls growing up just like Lily is in this day and age, which I find truly appealing, and think you will, too. The stories that happen to Lily, or that Lily creates, are intriguing and interesting to read! In this book we get to learn and find out what it really is like to be a little girl growing up Amish. The stories are fun and FULL of adventure of 'life on the farm', and so much more. We follow as her new little brother enters the world, to school, playing with her friends, and those friends can range from all of the animals on the farm, to her playmates as well. Adults are going to really enjoy reading this book aloud to children, and I think this book will appeal to ages 3 and up to Adult! Yes, I think the adults will enjoy these books just as much as the children will, especially this book being from the 6-year old's young Amish perspective. We are all very interested in how the Amish live, we learn a lot in this book through Lily. This book will be a series, with Book Two coming out in February 2013. This set of books will truly be classics that every little girl (and little boys may enjoy these books, too, as she has little brothers) should have in her library. They will be enjoyed immensely. Mary Ann Kinginger was raised Old Order Amish and currently writes the popular blog, "A Joyful Chaos" as a way to capture her warm memories of her childhood for her own children. She lives in Pennsylvania. Suzanne Woods Fisher is the bestselling author of several Amish novels, including the Lancaster Counter Secrets series and The Keeper, as well as nonfiction books about the Amish, including Amish Peace. She is the host of the internet radio show Amish Wisdom and lives in California. Be SURE to visit her Facebook page for MORE details on a FACEBOOK PARTY ON 10-16-12! 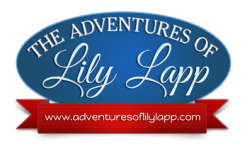 Be sure to visit the “Adventures of Lily Lapp” interactive website. The site is fun for all ages and loaded with games, downloadable coloring pages, Mama’s recipes, a way to ask Lily questions, book giveaways …and more! Check it out by clicking on the site logo. Thanks for coming by! SO glad you did and enjoyed the review I wrote so much! When I first got that book in my hands and started reading it, that is exactly what I thought about it! With "Life with Lily", you have just started a series of books that is going to last through generations and generations of the young and old alike! Thank you for such a compliment about my writing the back cover copy! You are an amazing person in ALL that you do!